Buttermilk actually has minimal fat and has no butter content. 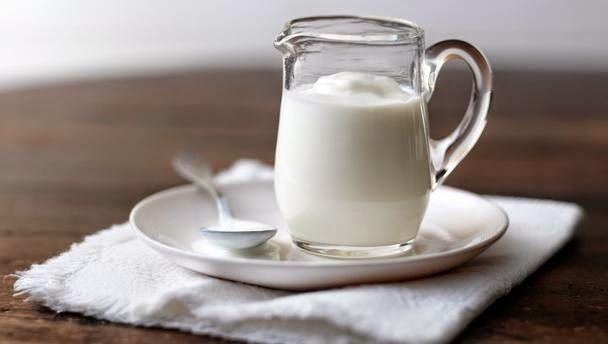 Buttermilk has 98 calories in 1 cup (8 fl.oz) of Buttermilk. Instructions:-1. Fill a jar half with cream. Then place the lid of the jar firmly. 2. Shake the jar back and forth so that the cream thickens and turns into whipped cream. Shake until the cream is replaced with butter and a separate liquid. This is a solid stew made with chickpeas, legumes, and a variety of spices. One serving consists of approx. 50 calories, 2.6gms carbohydrates, 15.0gms protein, and 1.8gms fat. 1.Wash and dice all the vegetables. 2. Boil water and cook the dal with turmeric and salt. 3. Separate the cooked dal and water, and keep them aside. 4. In sambar dal water cook the vegetables..
5. Add tamarind paste to the cooked vegetables. 7. Heat some oil in a pan, add mustard, then add methi, red chillies, green chillies, curry leaves, hing, turmeric, and sambhar powder and keep frying for a few minutes. 8. Season the sambhar with the above prepared tadka. 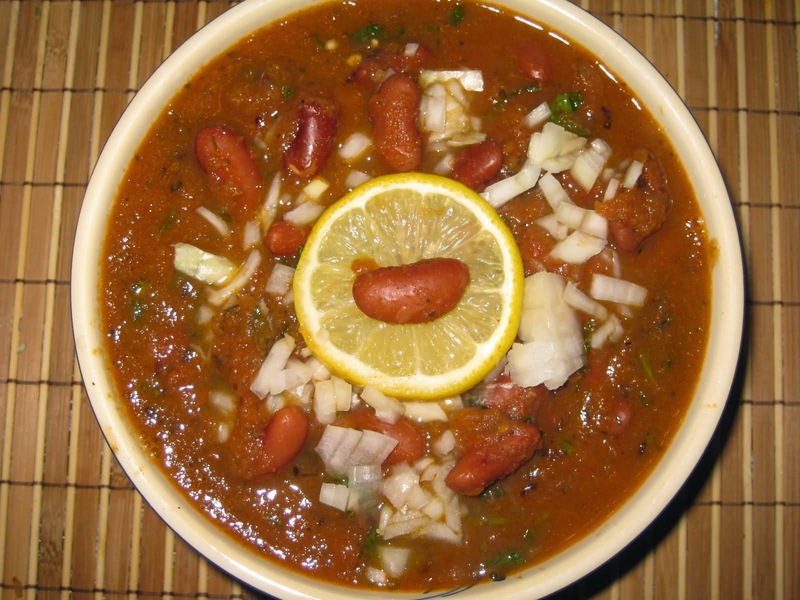 Rajma primarily a North Indian dish. It is made from red kidney beans in thick gravy with lots of spices and is usually served with rice and roti. One serving consists of approximately 120 calories and 5gms proteins. 1. Soak the rajma overnight. 2. Boil in a pressure cooker for 15 minutes. 3. Heat oil in a pan and add the chopped onions and ginger garlic paste. 5. Add the tomatoes, green chillies and cook till pulpy. 6. Add coriander powder, salt and 2 cups water and boil well. 7. Add the rajma and cook on a low flame for about 10 minutes. 8. Add the garam masala and cook for another 10 minutes. Serve with Rice. 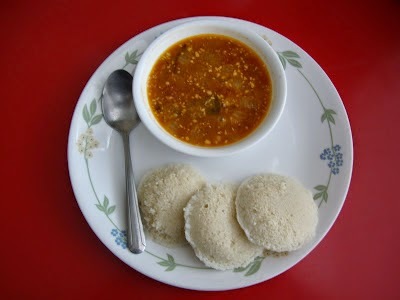 Idli is a very popular South Indian dish. Idlis are a great source of Protein and carbohydrates. Idlis make a very healthy snack. It is eaten as a snack or as a breakfast. One serving contains 10.4% calories, Vitamin B3 25%, Carbohydrates 13%. 1. Wash and soak the daal overnight. 2. Wash and drain the rice. Grind it coarsely. 3. Grind the daal into a smooth and forthy paste. 4. Mix the grinded rice and daal together into a batter. 5. Mix salt and set aside in a warm place for 8-9 hours or overnight for fermenting. 6. Idlis are ready to be cooked when the batter is well fermented. 7. Grease the idle holder and fill each of them with 3/4th full of batter. 8. Steam cook idlis on medium flame for about 10-15 minutes. 9. Use a knife to remove the idlis. 10. Serve them with sambhar.